As an Oracle 12c beta tester and a coauthor of the Apress Oracle 12c book ” Expert on Oracle 12c RAC” (http://www.apress.com/9781430250449). I have been working on Oracle 12c beta in since last Fall. I should be able to write Oracle database 12c blogs after Oracle officially announces Oracle database 12c. 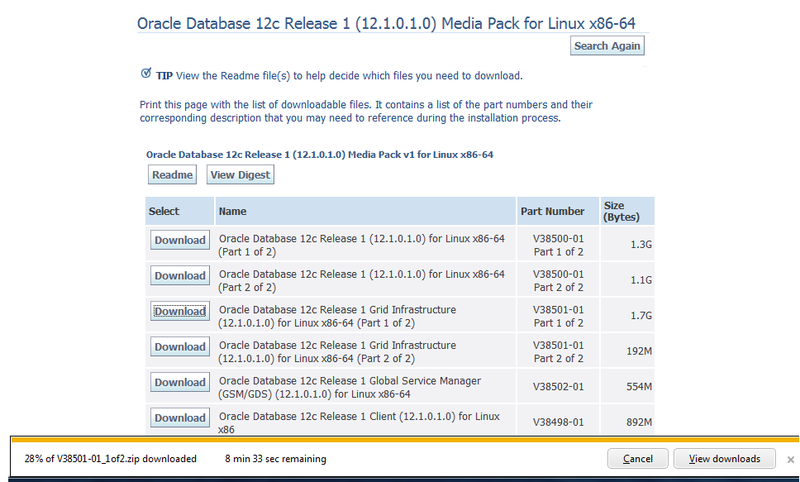 The following is the screen shot of downloading Oracle 12cR1. Let’s go download it and play it.